Heading to Bavaria for beer binge of the year! 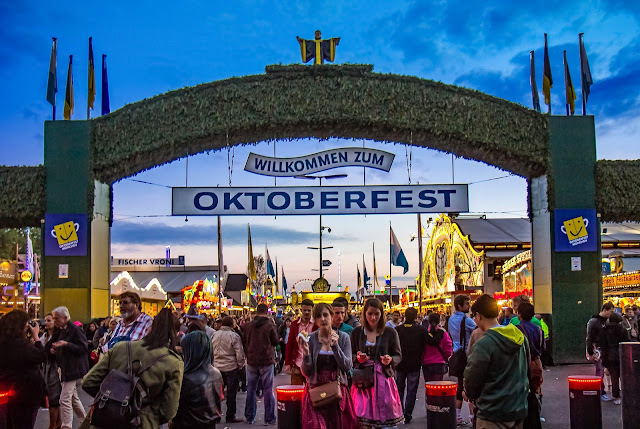 Nausheen Tareen compiles a list of must visit beer tents at Oktoberfest 2017 (Sep 16 – Oct 4) to savour the taste of the best beers in the world. Munich's largest and most traditional breweries are all set to kick start the festivities at Oktoberfest 2017. 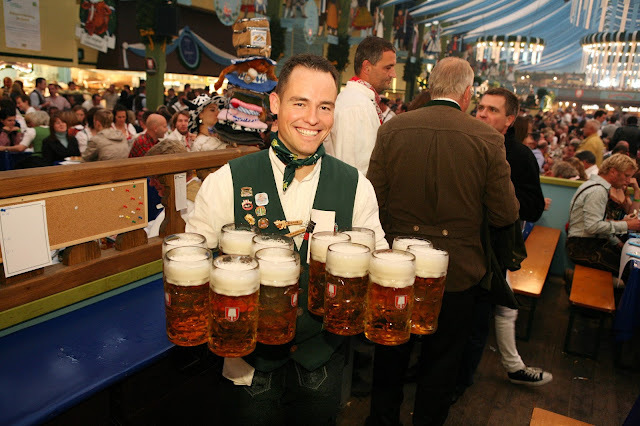 It is time to drink freshly brewed beer by the litre, eat traditional Bavarian food such as pretzels (that have a diameter of 15 inches), listen to live brass bands playing traditional and contemporary Bavarian music, and indulge in the festivities with people from all over the world, dancing and singing the hours away. Teetotallers don't need to worry, as king size sodas and water are also available. Here is a compilation of some must visit beer tents at Oktoberfest 2017 that give you a chance to savour the taste of the best beers in the world. 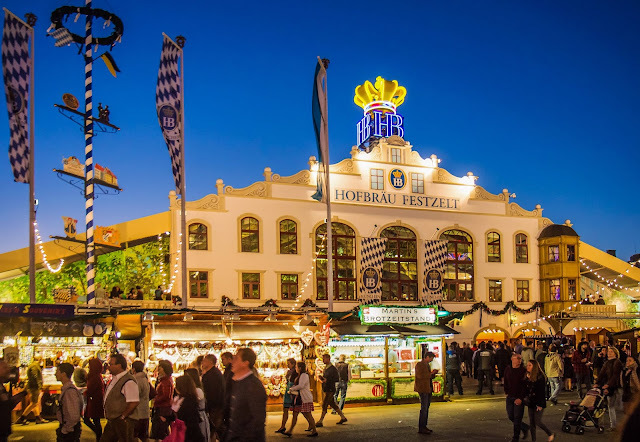 For a cosy and traditional experience, head for Augustiner-Festzelt (Festhalle). Its particularly authentic atmosphere is partly thanks to the fact that the beer served here comes from Munich’s oldest brewery set up in 1328 and is still tapped from classic wooden kegs and barrels. The regional delicacies and the friendly waiters and waitresses also make the Augustiner tent one of the most rustic of them all. This tent started in 1926 and is considered to be the friendliest of all at Oktoberfest. Theresienwiese is an open space in the Munich borough of Ludwigsvorstadt-Isarvorstadt. 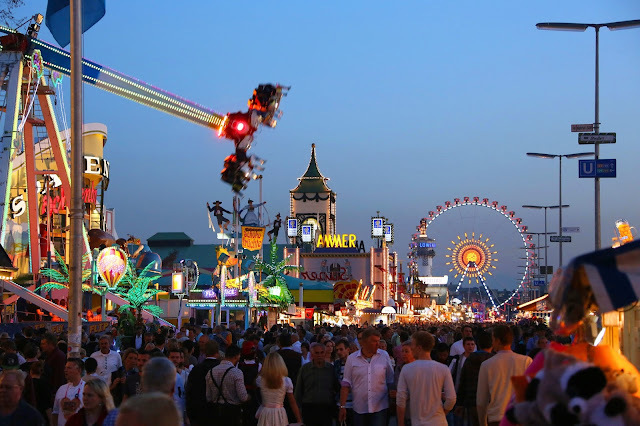 It serves as the official ground of the Munich Oktoberfest. The Armbrustschützenzelt is one of the oldest tents at the Oktoberfest, making its debut at the 1895 festival. Run by the shooting club, Winzerer Fähndl Schützengilde, this beer tent can accommodate around 7,500 people. Decorated in the unmistakable style of Alpine foothills, the German crossbow championships are traditionally held here every year during the Oktoberfest. The meat for the Bavarian delicacies comes entirely from its own livestock and great attention is paid to ensuring the quality of what is being served. Getting a table at Oktoberfest can be a task as beer lovers from across the globe descend here. The Fischer-Vroni is perhaps one of the more unique culinary stories of the Oktoberfest. If you feel like sampling something other than traditional roast chicken, pretzels and standard fare, the highly traditional tent of Fischer-Vroni is just the place for you. The menu here includes numerous fish dishes and, of course, the original Bavarian Steckerlfisch (fish on a stick), a speciality they serve. This rustic and cosy tent is not quite as loud as the larger beer tents. The family-operated Hacker Oktoberfest tent is one of the most popular beer tents at Oktoberfest and is popularly referred to as the heaven of the Bavarians. Hacker-Festhalle, with its famous white and blue ceiling, was designed by Oscar-winner Rolf Zehetbauer and depicts the scenes from everyday life in Munich with its historical buildings and the entire pristine Munich landscape. 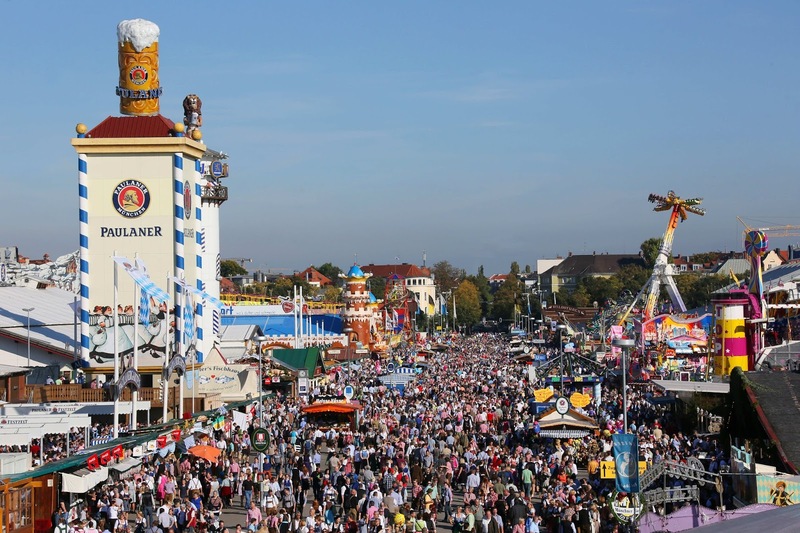 The tent can even be opened up depending on the weather, and is one of the most famous tents at Oktoberfest. It provides room for around 9,300 guests and is the size of a football pitch. The Hacker tent never fails to attract a plethora of young guests. The slogan of the tent is perfectly apt: when surrounded by clouds and stars with a cold Maß (litre of beer) in the hand, you may feel as though you are truly in a 'Bavarian Heaven'. The Hofbräu-Festzelt is one of the largest beer tents of the Oktoberfest in Munich, Germany. The Hofbräuhaus is known far beyond the borders of Bavaria, with its reputation extending around the world. The same goes for Hofbräu-Festzelt. Almost 10,000 people can be accommodated here and there’s even a standing area for enjoying a swift litre of beer. The ceiling is decorated every year with 16 tonnes of hops, in the middle of which the angel Aloisius sings his grumpy hosanna. For this occasion, Hofbräu brews a rich, full-bodied beer which goes down ideally with traditional Bavarian cuisine. With its deliciously bitter taste, Hofbräu Oktoberfestbier is as special as the Beer Festival itself. Winzerer Fähndl is a popular Oktoberfest tent noted for its huge tower and a large revolving Paulaner beer sitting atop the tower. It can be easily spotted from a distance because of the huge revolving beer tankard and has a rather authentic Bavarian design and ambience. This lovingly decorated tent is renowned for its extremely cosy atmosphere and has a large number of regular guests, including celebrities such as the players of FC Bayern München. The clientele is traditionally a little older – one reason why it is so easy-going here and not quite as wild as is in the other tents. Golden rich Paulaner beer with a wheaty malty aroma and flavour is the choice of beer at this tent.